The Vermont Covered Bridge Society is facing some serious problems. We do not have enough active members to fill our Committees or the leadership positions. In any organization only a small percentage of members are active, so we need to dramatically increase our membership in order to have a pool of members willing to take on the leadership roles. The recent Covered Bridge Summit held in Oxford N.Y. provided a lot of information on how to achieve this, and we will hopefully very soon begin to implement many of the suggestions. 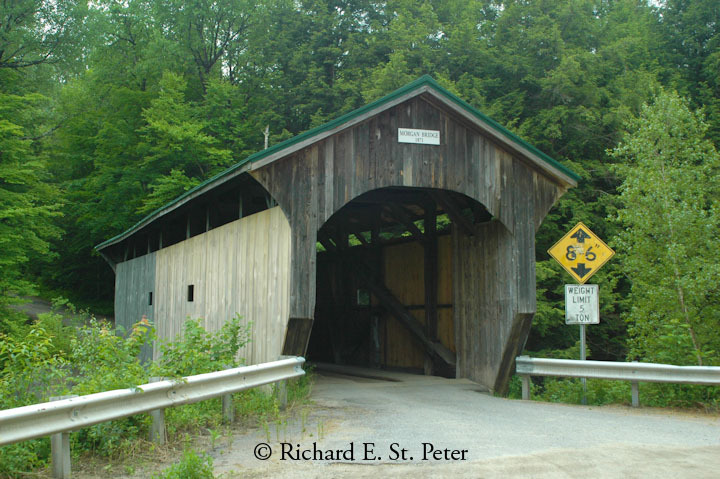 On Saturday, October 3, the 15th anniversary of the VCBS will be celebrated at Smugglers' Notch resort - on VT 108 five miles south of Jeffersonville - with an expanded program of lectures, workshops, and tours of local covered bridges. Any displays should be set up at 9 AM before the business meeting begins at 10 AM. Our keynote speaker, Ms. Laura Trieschmann, head of the Vermont Division of Historic Preservation, will give a presentation on covered bridges in Vermont at 11 AM, followed by the buffet lunch (ticket required in advance). 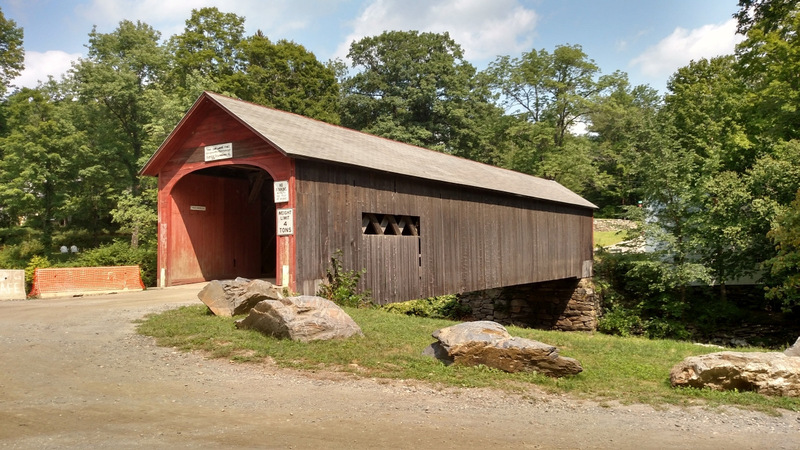 At 1 PM, three breakout workshops will be offered on "Bridging 101" (a primer for beginners), Covered Bridge preservation organizations, and Vermont covered bridges as a tourist attraction. The meeting is free and open to the public, with guests staying at the resort welcome to join in the activities. The resort is offering discounted accommodations for those attending the VCBS meeting. Reservations should be made soon as foliage season is a popular time of year for visiting Vermont. Contact group sales, Sharon Salls, (800) 521-0536, email: ssalls@smuggs.com. Members attending this regular meeting - two are held each year - are asked to register for this event on a simple form available on the VCBS web site and Facebook page, as well as here. Registration can be emailed to William McKone at wmckone@stoweaccess.com or mailed with a check made out to VCBS for lunch and/or bus tour if desired. Send stamped mail to William McKone, 110 Campground Drive, Jeffersonville, VT 05464. Tickets are required for the noon buffet lunch at $25 each, though attendees can bring a lunch or order a la carte at the resort restaurants. With only 50 seats available on the two tour buses being provided by the resort, members are being given first chance to reserve at $10 per seat up until October 1, when they will be offered to the general public. For more information, email wmckone@stoweaccess.com. The historic bridge community recently lost a major figure. 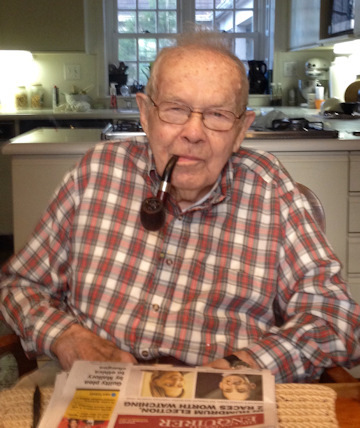 John A. Diehl, as an obituary written by his grandson observed, was a "true renaissance man." Before his death in January at the age of 97, he had influenced the fields of covered bridge research and preservation, mechanical and civil engineering, local history, and photography. Born and educated in the Cincinnati area, he spent his professional career as head of a heating and air conditioning business for forty years. It was his private passions, however, that led to his greatest impact, especially through his love of covered bridges. Shortly after graduating from the University of Cincinnati in 1939 with a civil engineering degree, he became chairman of the Ohio Covered Bridge Committee, an informal group of preservationists assembled under the umbrella of the Ohio Historical Society. Applying the precise and logical mind of an engineer, John came up with the covered bridge numbering system using state, county, and individual structure numbers that was adopted in the World Guide to Covered Bridges. Under his direction, the committee created the first statewide covered bridge map, a single, folded sheet that followed the pattern of the traditional state highway map. The first map, published in 1953, had descriptions on one side and a state map with locations on the opposite. With subsequent editions (there were six more until 1972), truss drawings were added as the number of bridges dwindled. It was in his capacity as head of the Ohio Covered Bridge Committee that I first got to know John in the mid-1970s. The committee met at the annual meeting of the Ohio Historical Society. By then the number of attendees had dwindled, but, ever the gentleman, John welcomed everyone's participation and contributions, even from me, a neophyte preservationist. 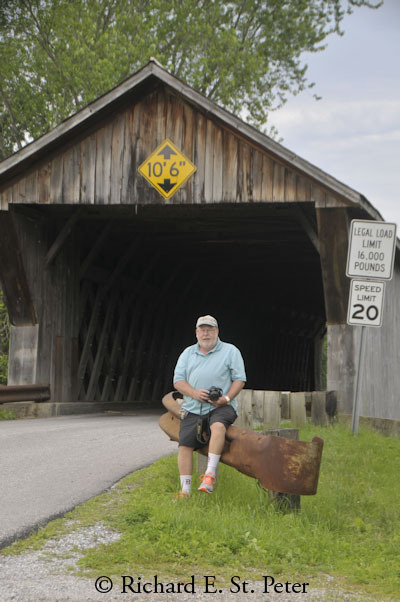 Later, as an editor with TIMELINE magazine, I had the good fortune to work closely with John as he wrote an article on Ohio's covered bridges. In the process, I discovered his remarkable collection of historic material relating to bridges, ranging from nineteenth-century framed artwork to books to glass plate negatives. 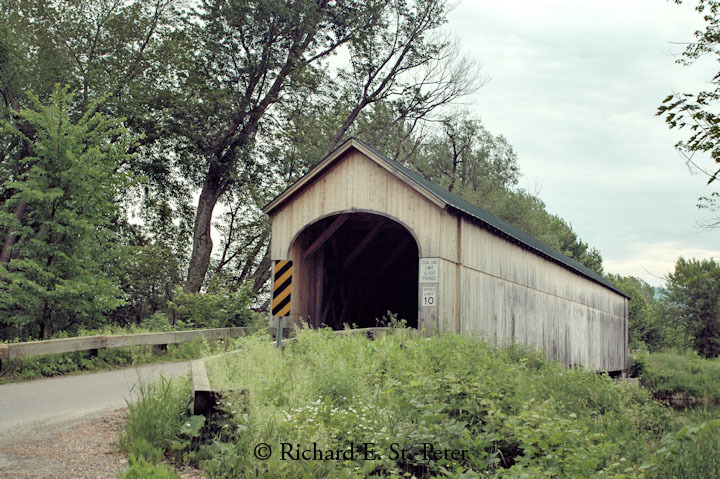 His own expert photography of covered bridges-an important source for the article since it dated back at least to the 1940s-also became apparent. To visit his home was to experience a collection of breathtaking quality and breadth, certainly of museum quality. But more importantly, it was to enjoy the hospitality of a charming and gracious host who warmly embraced all who shared his passion for and depth of interest in the broad elements of the nation's past. The Diehl family is making efforts to ensure that all of John's volumes and collections are preserved for future generations. John Diehl's impact on Ohio history will be an enduring legacy. We have all benefited immeasurably from his efforts, but those of us who knew him personally, we will never forget the warmth of his personality and friendship. This article taken from The Ohio Historic Bridge Association newsletter, Bridges and Byways, Spring-Summer edition, with permission. The town of Guilford is still considering options for repairing or replacing the Green River Bridge. You may recall from earlier articles that the bridge is currently posted for 4 tons. Some work was done to stabilize the abutments, but more is needed to improve the bridge structure. Repairing the current bridge will bring it up to an 8 ton weight limit, still not adequate for some emergency vehicles. As of the end of August, repairs to the Brown Covered Bridge in Shrewsbury are still continuing. Wright Construction is doing the work. Vermont AOT is expecting the work to be completed in mid-October. Repairs to the Scott Bridge in Townshend are planned, but not yet contracted. The bridge has been closed since February 2012. While returning home from the Covered Bridge Leaders' Summit in New York on August 31st, I decided to stop and visit the bridges in Bennington. I happened to arrive at the Henry Bridge (45-02-02#2) just in time to witness this dump truck ignoring the clearly visible 11,000 weight limit sign. Unfortunately, I did not see the name of the vehicle's owner, but did send photos and a description to the Bennington Police Department. In pursuit of building our membership, we have spread the word through our newsletter, our website, and our open annual meetings, all targeting adults. We have not done enough promotion toward a future generation of covered bridge enthusiasts: Our school kids. The following story is an example of what can be done. The authors put together their program on their own, inspired by one of our publications. We, the Vermont Covered Bridge Society have a treasure trove of material we can assemble for kids if we only have the will to do it. If a member with experience in education will volunteer to design a set of covered bridge presentations for us to take from school to school, or a package like the one below to offer teachers, I will be happy to provide the material and partner with you. Contact me at jcnelson@together.net. Every enrichment project is designed to allow students areas of personal choice and ways to exercise personal strengths. Mr. Mc Donald's fourth grade class worked with Mrs. Siller, the enrichment teacher, studying wooden truss covered Vermont bridges. 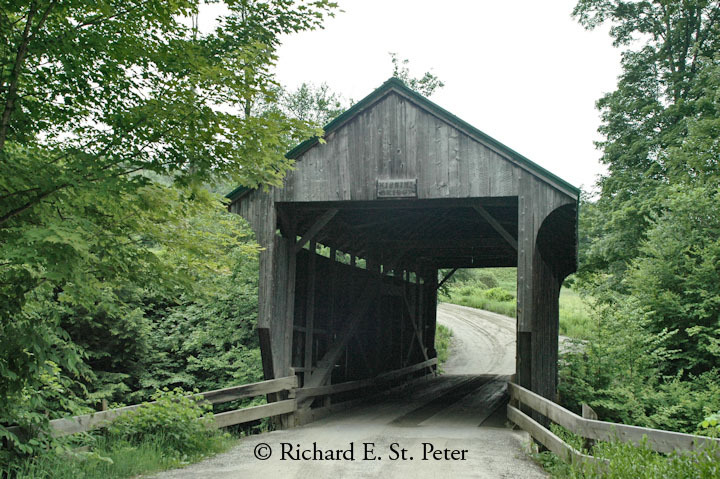 The main reference for this unit has been Spanning Time, Vermont's Covered Bridges by Joseph C. Nelson. 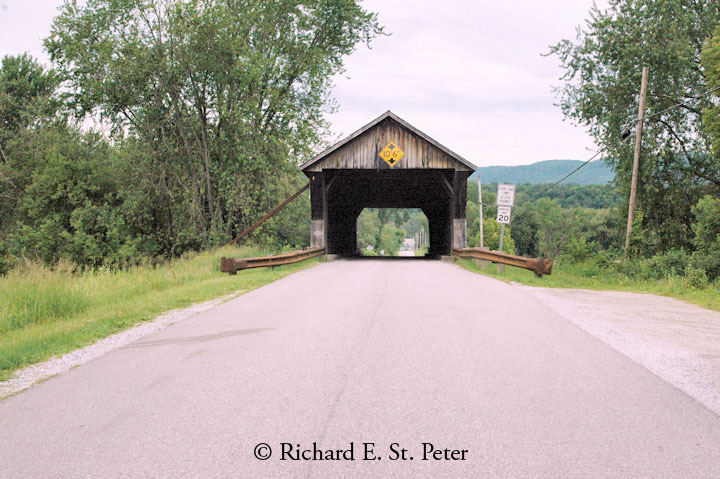 In addition to detailed blueprints for the various truss designs, there are also beautiful pictures accompanied by historical narratives for all the remaining covered bridges in Vermont. 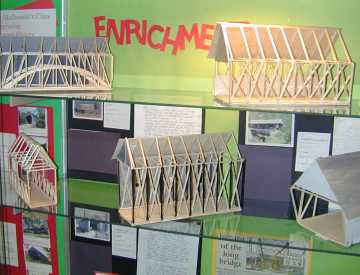 Each student was provided with a copy of the history for a bridge that matched their choice of construction techniques for the balsa wood model. Secondary reference material included several books by Eric Sloan and an Internet article on the history of covered wooden truss bridges from a global perspective. The whole class worked together to highlight key information from this article that was needed to answer the research questions. Below is a brief description of the components of this project, which were carried out in two weekly forty minute classes over a period of twelve weeks. Engineering Principles: This class explored the stability of squares, trapezoids, and triangles and the relationship of truss design to span length. Selecting a Truss Design: Students selected from a menu of materials and truss designs to create a 2D image of a specific truss. Research: Students were given a list of questions that would form the basis of a three paragraph written report. They were given all necessary resource materials to complete the research. 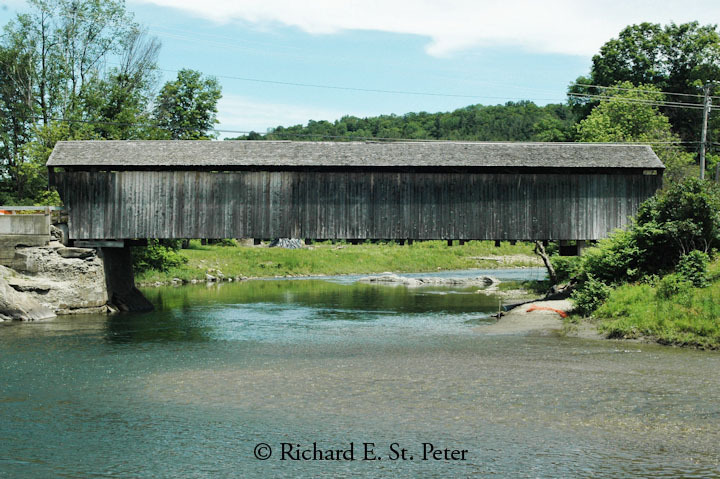 Reports included information on the history of wooden truss designs and a specific Vermont bridge from Joe's book. Written Report: students worked simultaneously on the written report and model construction. Model Construction: students built balsa wood models to illustrate the selectedtruss design as practiced in Vermont with siding and roofing on one side only. *First Published in January 2003. For the entire article, see: www.vermontbridges.com/4thgrade.htm. 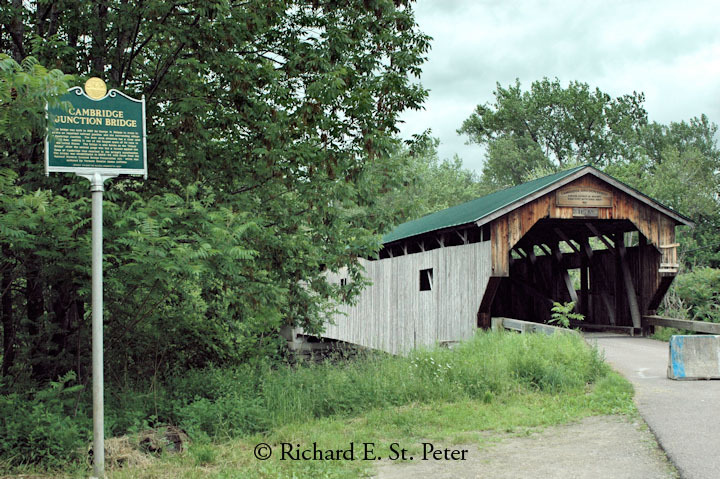 I was recently asked by Bill McKone to make a list of those members who most helped the Vermont Covered Bridge Society carry on into this, our fifteenth year. I can name the folks who still carry the torch lighted fifteen years ago. That would be easy, but unfair—they were handed the torch by others before them. Today's bearers are Irene Barna, William Carroll, William Caswell, Neil Daniels, Ellen Everitz, Ray and Adrienne Hitchcock, Steve Miyamoto, Terry Shaw, Warren Trip, and John Weaver. Irene, our secretary, has missed but one meeting since the beginning, and she has organized several of our annual meetings. William Carroll, our president, doubles, as chair of the Historical Committee. William Caswell plugs on as our newsletter editor in addition to his duties as successor to the late David Wright as president of the National Society. Neil Daniels, our treasurer, has used his business acumen to grow our Save-A-Bridge Fund through the stock market. Ellen Everitz, chair of the Publicity Committee, took on the job of announcing our annual meetings though the media. Ray and Adrienne Hitchcock, Bridge Watchers extraordinaire, have long been making friends for us in Vermont's southern counties. Steve Miyamoto, once editor of our newsletter, is now our website webmaster. Terry Shaw was chair of our Legislation Committee and keeper of a pricy painting donated to us by artist Eric Tobin. Warren Tripp, our society librarian, is a retired VTrans engineer who lends us his covered bridge expertise whenever asked. John Weaver, past president, is our Bridge Watch Coordinator and VTrans engineer keeping an eye on our bridges. Among the bright lights of the past are the late Richard Wilson and the late David Wright, presidents of the New York and of the National societies, who gave us the advice we needed to start us off and stayed with us participating in our growth. The late Jim Fearon, of the Lyndon Chamber of Commerce, organized his towns people to clean up and repair Lyndon's bridges. He joined us bringing his organization with him as one of our first fully functioning Bridge Watch Areas. Then there was John Dostal, the man behind the Covered Bridge Museum in Bennington, and Francis Converse who designed our covered bridge patch. The list of the folks who made real contributions to start and carry the Vermont Covered Bridge Society on its fifteen year trek are just too many to list in this limited space. To recall them all, visit our website at www.vermontbridges.com/cbarchiv.htm. Enjoy. I just returned to Virginia from visiting Vermont. My visit this time was to attend my 50th year class reunion from Rutland High School class of 1965. Since I was visiting Vermont, it also gave me an opportunity to again photograph the covered bridges as I often have done on my previous visits. This time I decided to take a different approach to what bridges I would photograph and where I travelled to get to them. Since I was staying in Killington at the Cedarbrook Resort that was my starting off point the mornings I photographed the bridges. Looking at my Vermont map prior to heading out, I came up with my game plan for where I was going. Since I have been photographing the bridges for many years, I decided to find some that even though I have photographed them before, I have never included them in any articles I have written. So the first route I took was north on Route 7 out of Rutland to photograph bridges in Pittsford, Brandon, and finally Salisbury. I then travelled along Route 4 east to photograph 1 bridge in Woodstock; and continued North on to Route 12 to photograph a bridge in South Pomfret. Following Route 100 north out of Killington, I headed to Warren, Waitsfield and Stowe. My last excursion had me following bridge symbols on my Vermont map and traveling to East Fairfield, Fairfax, Westford, Cambridge, Cambridge Jct, Jeffersonville, 3 bridges in Waterville, 2 bridges in Belvidere, Morristown and my final bridge, the Giorgetti Bridge in Pittsfield. So after travelling those many miles, I was able to photograph 21 bridges and enjoyed it very much. 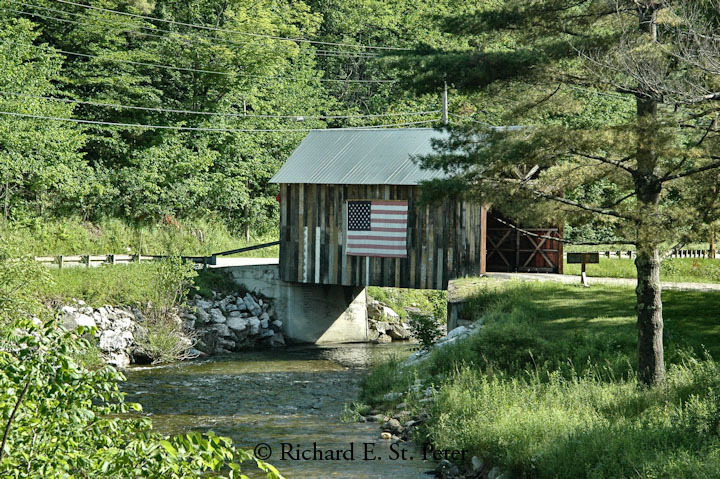 My next trip to Vermont will be in October and I will again be photographing covered bridges. I have already made my reservation to stay at Cedarbrook in Killington and will be there three nights. I am looking forward to be able to photograph the covered bridges during the fall foliage season. On the weekend of August 29 & 30, leaders from five state covered bridge societies and the National Society gathered at the Oxford Memorial Library in Oxford, New York for a weekend discussing a wide variety of topics such as nonprofit status, national historic register eligibility, protecting our bridges, working with community leaders, increasing membership, promoting the society and thoughts for the next World Guide to Covered Bridges. The Summit was conceived and organized by Bob & Trish Kane. They are to be commended for all their time and effort promoting, planning and executing this incredibly successful event. 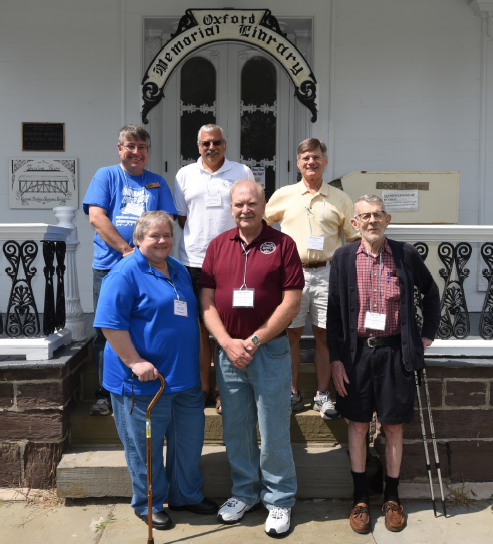 The gathering was by invitation only and I feel that they included an ideal mix of people who have been involved with covered bridge societies for many years and relatively new people with fresh ideas. We could not think of any similar event with so many societies represented happening in our memories. The meeting was attended by representatives from the National Society for the Preservation of Covered Bridge, VCBS, the New York State Covered Bridge Society, the Theodore Burr Covered Bridge Society of Pennsylvania, the Ohio Historic Bridge Association and Indiana Covered Bridge Society The Vermont Covered Bridge Society was represented by President Bill Carroll and Public Affairs Officer Liam McKone. The event started with a welcome from Trish Kane and Bill Troxell, Financial Secretary for the Oxford Memorial Library Board of Directors. Guest speakers included Darcy Aldous a CPA who discussed various aspects of non-profit 501(c)(3) status; Kathleen LaFrank discussing the process for including structures on the New York State Register of Historic Places and Steven Sass of Crestline Industries sharing information about his fire-retardant product NoChar. Doug Miller and Elma Lee Moore from Ohio presented two examples of projects where they were involved with the public meeting process and worked with local officials. VCBS President Bill Carroll offered a presentation on preservation of historic documents. Personally, I wasn’t aware of the depth of his knowledge and expertise on the subject until listening to this very interesting and informative presentation. Sunday's agenda included a presentation by Jim & Gloria Smedley representing the Theodore Burr Covered Bridge Society of Pennsylvania offering various suggestions of increasing membership and encouraging members to be more active within the Society. Trish Kane moderated a group discussion regarding some of Saturday's topics plus thoughts on promoting our organizations within schools. 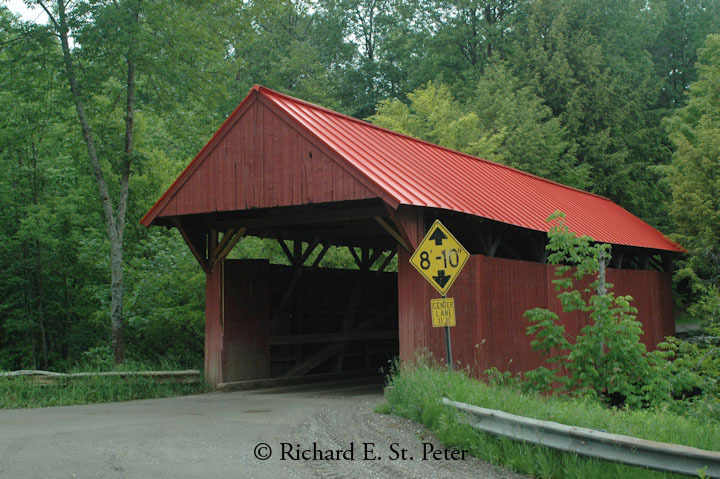 For those who are involved in teaching young children, be aware that the federal government has prepared an educational guide for implementing covered bridge information into school curriculum. Feel free to contact me if you would like more information about this guide. After lunch, I moderated a discussion related to the World Guide to Covered Bridges. The next Guide is only in the planning stages at this time. To start that planning process, the National Society is soliciting input from all interested parties. A committee for planning the next Guide will be formed from volunteers at the Summit. Terry Miller closed the conference with slides of his recent trip to Switzerland and Austria. In the end, a few people mentioned that it would be good to have another gathering in the future. After discussing this with Bob & Trish, we feel that about three years would be a good time to plan the next event. Not too soon yet close enough to build on the momentum we have started. Bill Caswell; David Simmons, Ohio Historic Bridge Assoc. 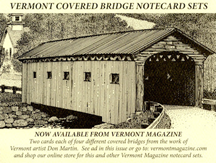 Dear Readers, The Vermont Covered Bridge Society was founded fifteen years ago, and what a beginning it was! The membership celebrated our mission with gusto. Our meetings featured great dinners, speakers and covered bridge tours. All of our committees were in operation working together to cause good things to happen, making the new society a rousing success. Wanted: A volunteer to chair the Membership Committee. See the Membership Column for details. Wanted: A volunteer to chair the Events Committee. The member chairing this position will have a seat on the Board of Directors. Wanted: Committee members for the VCBS Standing Committees, i.e. Bridge Watch, Communications, Events, Historical, Legislation Watch, Membership, & Publicity. For the first time in the 15 year history of the Society, no one has stepped forward to run for the office of Secretary. Hopefully, someone will answer the call between now and the new year. With the Summer newsletter issue of The Bridger, we began the process of electing Society officers. 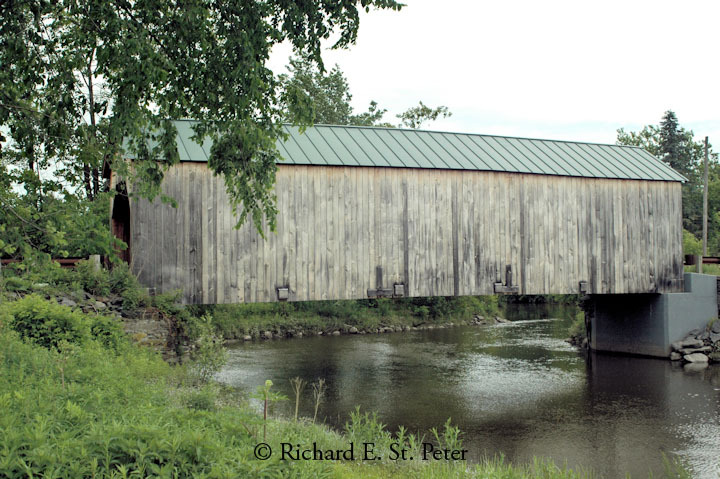 The Vermont Covered Bridge Society membership was asked for candidates to run for the offices of president, vice president, secretary, and treasurer. Nonincumbent candidates were asked to introduce themselves to the membership by letter to tell us why they are seeking a leadership role. The letters were to be published in the Fall Issue of The Bridger together with the ballot. There were no letters. Fortunately, three of the incumbents have each agreed to serve another term. There will be no ballots. The Society bylaws governing elections were changed by the Board of Directors in February, 2013. The bylaws now state that if there are no challenging candidates for any of the four offices, election ballots will not be issued and the Board of Directors will confirm the slate. The cause of the change in the use of ballots is the membership voting record. When incumbent officers are not challenged by new candidates, ballot returns have fallen off. In a past election approximately 200 ballots were sent, only 14 were returned. Every member in good standing is entitled to run for office and to vote. This includes the adult members listed on a Family membership and the contact person on a Business or Organization/Municipality membership. This is an open organization and all members are asked to participate, giving of their time and talent. If a member doesn't wish to run for one of the four offices, the member can join a committee or join the board of directors by chairing a standing committee or a Bridge-watch area. Please see the "Important Notice" elsewhere in this issue. From the VCBS Archives. Franklin County. The Jewett brothers, Sheldon and Savannah (Savanard) were residents of Montgomery, and during the last half of the 1800s built innumerable covered bridges in and around Montgomery. 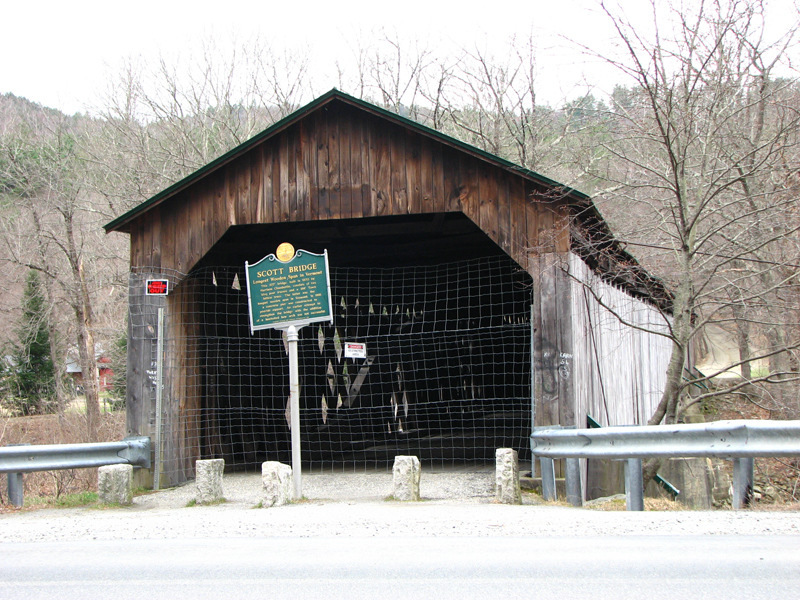 Six of the remaining eight covered bridges in Franklin County were built by the Jewett Brothers, five in Montgomery and one in adjacent Enosburg. In the archives we have an article about the Jewett Brothers, written in 2006 by Kevin Walsh and published in the Fall 2006 Stowe Guide and Magazine. Hectorville Bridge, 45-06-06x Built in 1883 by the Jewett Brothers, this 58 foot bridge across South Branch of Trout River was located on Gibou Road, off Vt. 118 about a mile and a half southeast of Montgomery Center. The bridge had a lattice truss, typical of all the Jewett bridges, and also had an added kingpost truss. The bridge, unused after being bypassed by road straightening and a new bridge, was disassembled in 2002 and placed in storage. Future plans are not certain, but it will probably be rebuilt using as much of the original materials as possible on town-owned land, as part of a recreational trail. In the Archives are color photographs of the bridge in its original location on Gibou Road. 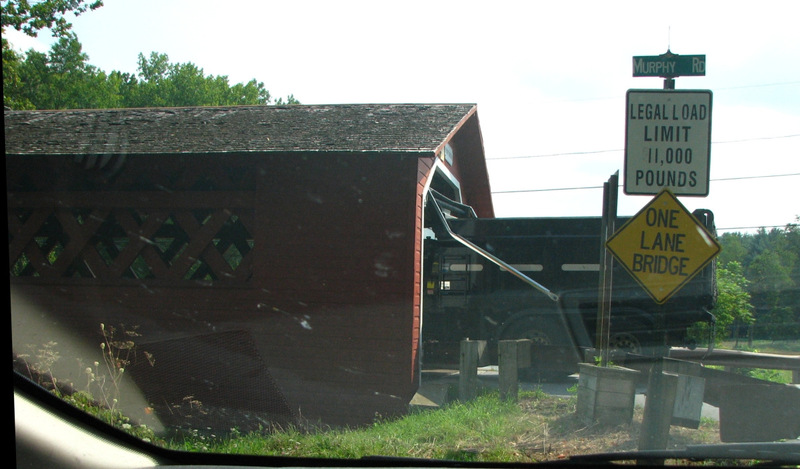 Swanton Railroad Bridge, 45-06-10x. This three-span lattice truss railroad bridge carried the St.J. & L.C. RR a distance of 369 feet across the Missisquoi River. The bridge was built in 1898 and destroyed by arson in 1987. The railroad had been abandoned prior to the fire. In the archives are color prints of the bridge and two newspaper clippings relating to the arson. 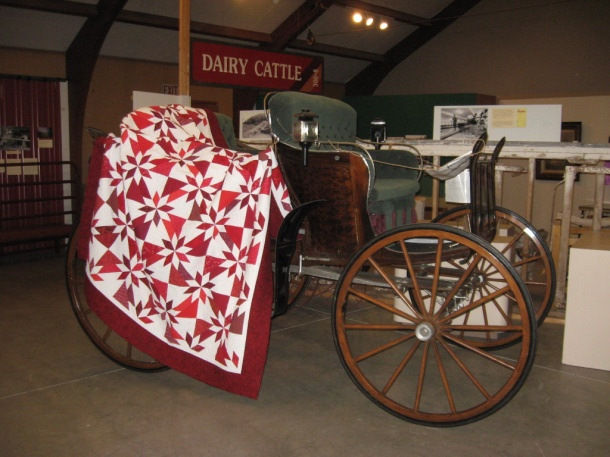 The Theodore Burr Covered Bridge Resource Center, located in the Oxford Memorial Library is hosting a fundraiser for a beautiful handmade, queen size quilt. The pattern used in this quilt is called a Rapid Fire - Hunter Star and is red and white and absolutely stunning. This beautiful quilt will be on display at the Oxford Memorial Library for the month of July. Whomever wins this quilt will take home a treasured heirloom to be passed down for generations to come. The drawing for the quilt will take place on November 15, 2015 and the winner will be notified immediately by phone/mail. This quilt was genersourly donated to the Theodore Burr Covered Bridge Resource Center by some wonderfully crafted quilters, Annie Perry, Norwich, NY, Sharon Chrisbaucher, Smyrna, NY and Lorie Wessing and Trish Kane, Sherburne, NY. Many thanks to these talented ladies for donating their time and talents to make this raffle possible. Tickets are $5 each. If you purchase 5 tickets for $20 you get one ticket free! For more information, contact Trish Kane, Collections Curator at 607-674-9656 or email her at: bobtrish68@frontiernet.net. I regret to tell you that we have no new members to welcome this issue, and I further regret that, this late in the year, 25 members are still behind in their dues. Of these, six are wa-a-a-y behind. Today, we have 140 memberships. Of these, 80 need to be renewed annually. Please, when you receive this newsletter, look at your address label. If your membership code is red, it's a reminder that you are in arrears in your dues. The society depends on dues and donations to carry out its mission. You folks who receive your newsletters by email have no address label, but please, if you are in arrears, consider this note as a little reminder. We seldom hear from Life members except when the post office lets us know about mailing address changes or their ISP tells us their email address is no longer valid. 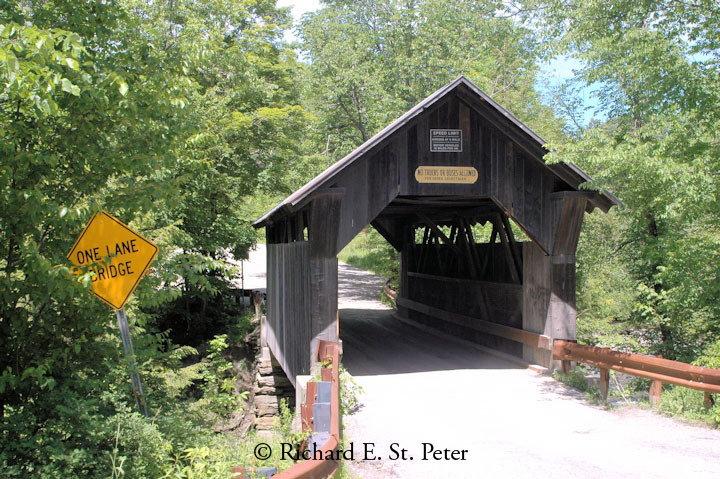 Please, Life Members, keep in touch and let us know that you are well and are still interested in our mission to promote the preservation of covered bridges. Contact jcnelson@together.net with any changes in your contact information. Sadly, we are still in need of a volunteer to take up the duties of Chairperson for the Membership Committee. The duties of the committee are to maintain the Society membership roster, to distribute membership cards, and to serve as correspondence secretary to the membership. A nice feature of this committee is that its members can work from home - meeting attendance is not required. A member of the committee needs to have a computer and an email address. There is a seat on the society Board of Directors reserved for the Membership Committee Chairperson.